We are a local business that is here to help protect the health of our community. 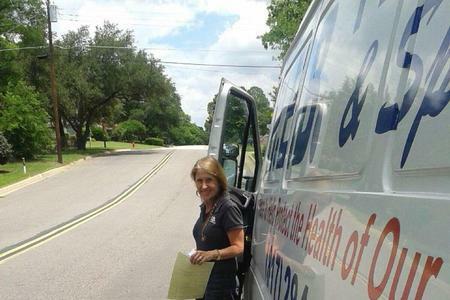 HEB Plumbing & Sprinkler is owned and operated by Responsible Master Plumber Kathlyn Smith. We have maintained an A+ BBB Service Rating since 1991. We serve all of the NE Tarrant County and Arlington areas so we are never too far from you! However, we don’t expect you to come to us-we’re in the business of making house calls. We are open Monday-Saturday and provide emergency plumbing services on Sunday. If you leave a message…I will personally return your call as promptly as possible. If you have any questions about the services we provide simply use the form below. We try and respond to all queries and comments within 24 hours. For quicker service, please call me at (817) 283-8888.